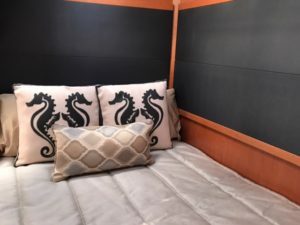 Custom bedding not only adds a personal touch to you boat but it also brings in the comfort of home. 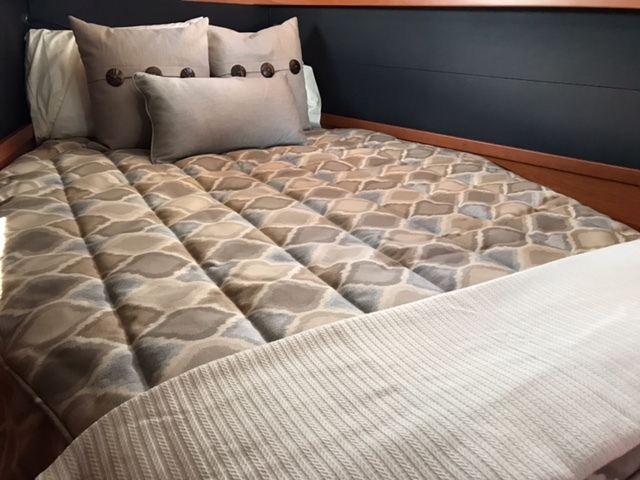 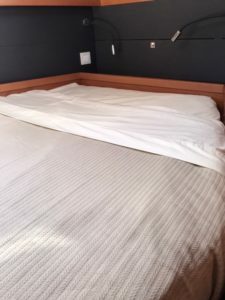 A well fit bedspread keeps your stateroom looking tidy while custom fit boat sheets and yacht blanket keep it comfortable and practical. 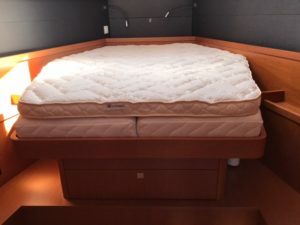 We have patterns on file for the current Beneteau line up and many patterns for retired models. Contact us to see how we can help.